Although I live in Eldorado, which sits only a few counties away from the ever-creeping-towards-us edge of the Chihuahuan Desert, we have been enjoying the El Niño effect this year, which means a wetter spring than usual. 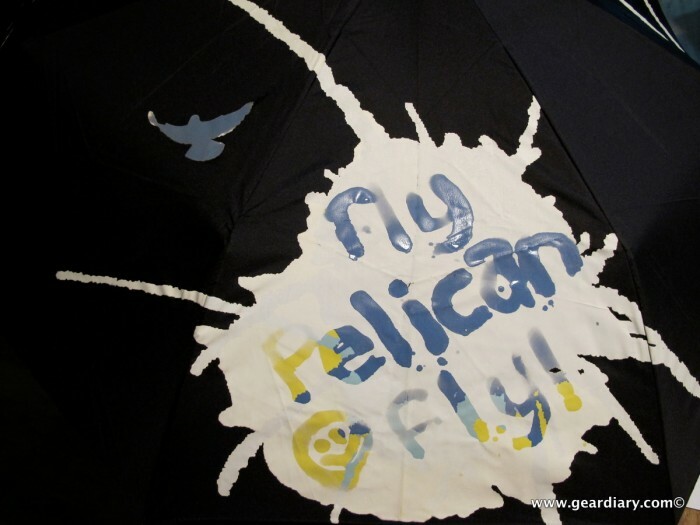 In celebration of our recent (and hopefully continuing) monsoons, I’ve been sporting one of the most unique umbrellas ever seen in Texas or anywhere — the UrbanTrim Squidarella Color Changing Umbrella. 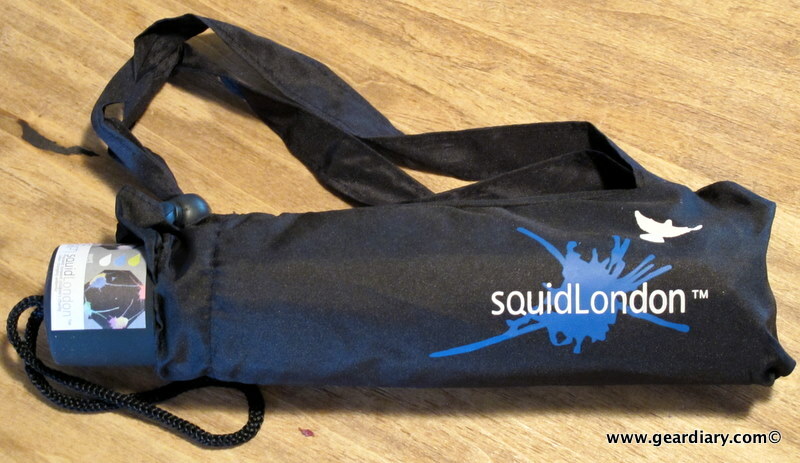 The Squidarella, so named because it is a collaboration between UrbanTrim and SquidLondon, a UK design house, is an umbrella with a compact design. When it is put away, the Squidarella measures approximately 9.5″ x 2″. 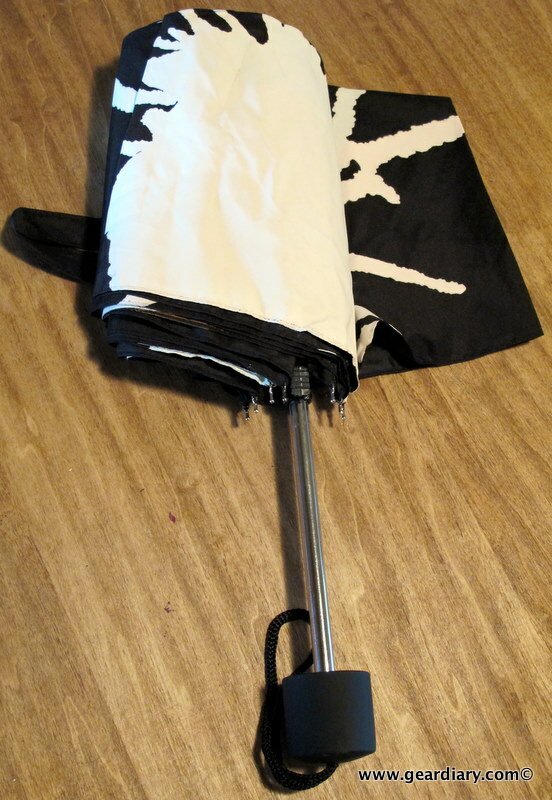 It’s got a 1.5″ x 1.5″ receptacle base which keeps the pointy ends of the umbrella’s dome tucked away, and there is a wrist strap for those who like the added security when using their umbrella. The umbrellas are made with the colorful design as the base. 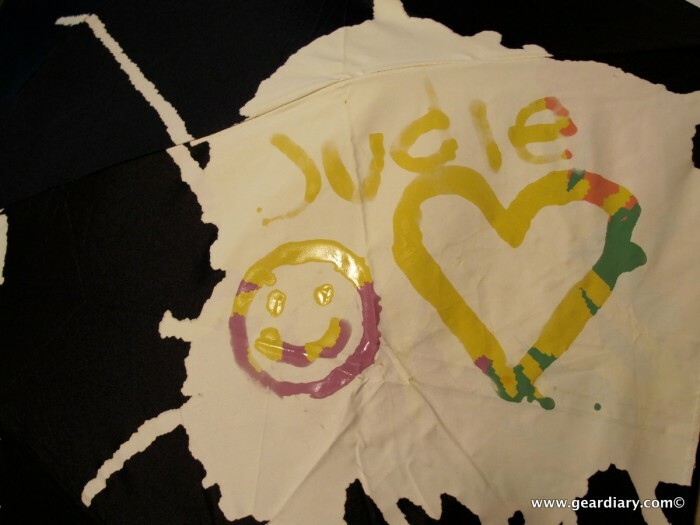 The design is then covered by the special ink designed by SquidLondon. 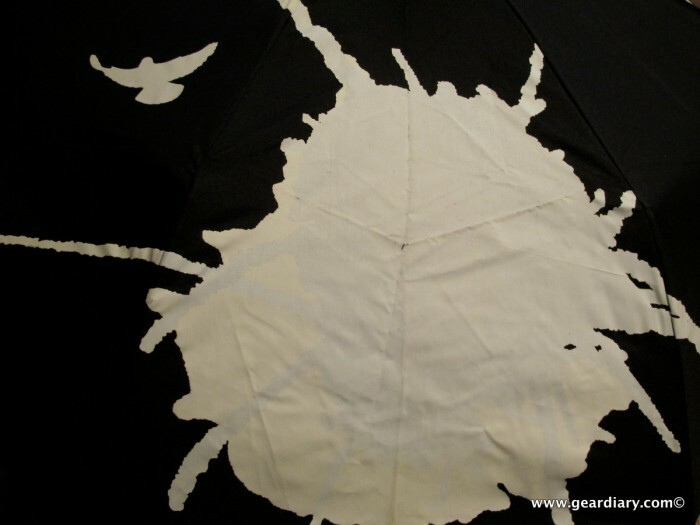 The ink is white giving the silhouette look to the umbrella, but when the ink becomes wet it will no longer be visible and will allow the colorful design to show through. 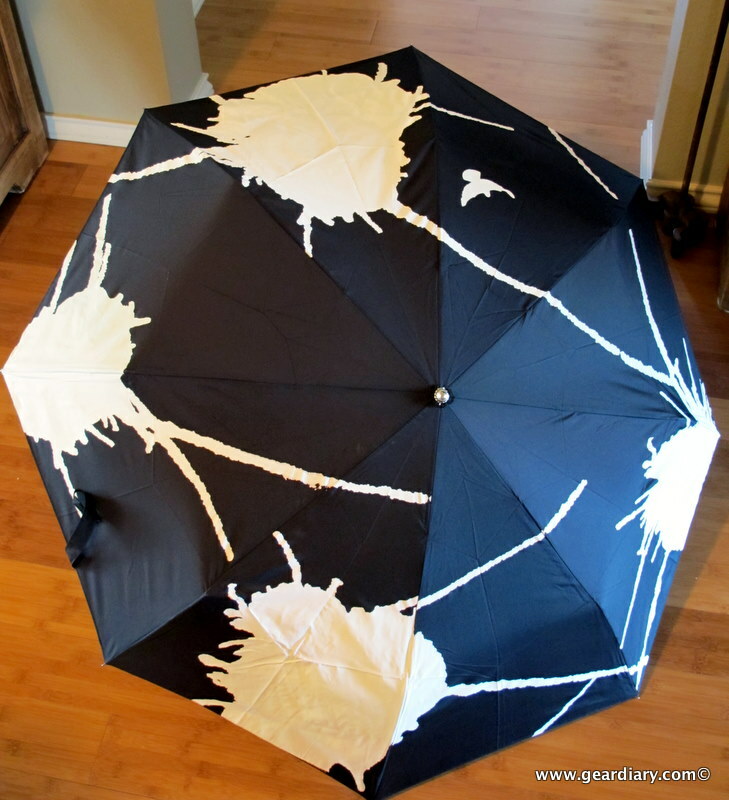 So to start, you have this striking black and white umbrella that may or may not have been designed to look like a passing-by pterodactyl used it for target practice. When rain starts to fall (or the umbrella gets wet from any water source – like my finger dipped in a bowl of water), almost immediately the vivid colors will begin to appear. The more water applied, the more vivid the colors. The UrbanTrim Squidarella is a unique and fun umbrella, and it is guaranteed to make little girls’ eyes grow wide in wonder … and then they’ll want to “fingerpaint” on it. It’s portable enough to throw in your tote or gearbag so you’ll always have it “just in case”, and unless you get caught in a Texas-sized gale, it should keep you dry without a blow-out. The UrbanTrim Suiqarella Color Changing Umbrella is available directly from the manufacturer or from the Museum of Modern Art in New York City.